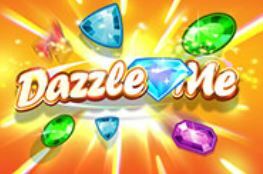 Dazzle me is a NetEnt video slot that is currently available in many online casinos PA. In case you didn’t know NetEnt is a Swedish game developer that is renown worldwide for the quality of their games. Granted that NetEnt primary focuses on creating slots with advanced mechanics. But sometimes, they do produce classic video slot with a twist just like Dazzle me. So,if you’re a fan of classic slots or if you’re new to this genre, this is a great game to play and here’s why! Summary of Dazzle me Video Slot features. Feature: Free Spins, Dazzling Wild Reels, and Synchronized Reels. Pros and Cons for playing Dazzle me video slot. What’s great about Dazzle me video slot? In short, even if Dazzle me is a classic slot, it has a lot of bonus features. Also, it’s worth keeping in mind that Dazzle me has 76 ways to win. Which means while you play you can expect steady wins that will keep the fun lasting. Also, it’s worth knowing that Dazzle Me has a different reel formation which is similar to the reel set in Motörhead video slot. So, if you like Motörhead, there’s a good chance you’ll love this game too, especially since the max win is a lot higher in Dazzle me! Additionally, you’ll probably be happy to know that landing 3 Scatter or more on the reels will give you anywhere between 8 to 16 free rounds. The Free Spins bonus in this game is especially good since you’ll activate Synchronized Reels at random to guarantee you bigger wins. What’s not so great about Dazzle me? Frankly, Dazzle me is a great game. The RTP is above average, and the hit frequency of 19.61% isn’t bad either. But know that it’s 11% higher on The Planet of the Apes slot. All and all, the paytable is well-balanced. But, you’ll notice that the best-paying symbol, is a lucky 7 and it only pays 200 coins for 5-of-a-kind. Also, when you play Dazzle me, the Diamond above the reels randomly animates itself before the Dazzling Reels feature activates in the base game. And to be honest, it dazzles often and may lead you to believe that the reels are gonna get wild! It’s great when it happens, but know that when its active you have 1 in 2 chances to trigger the feature. So don’t worry if you don’t get additional Wilds on the reels the first time the Diamond shines. The game isn’t broken! Dazzle me is a Medium volatility game, which means players of all type will enjoy the gameplay. It’s also worth knowing that high rollers who like NetEnt games can place bets up to $400. Which let’s face it, is a lot higher than other NetEnt gemstone games like Starburst per example. If you wanted to make sure you have a long real money casino session on this game, you’d be wise to claim a casino bonus before depositing. 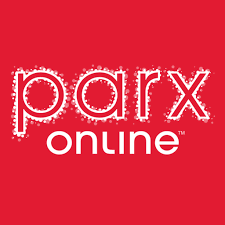 Alternatively, know that this game also has a fun and demo mode that you can play on Parx Casino today. Have fun!